Place shaved almonds in a zip lock bag, and crush them into smaller pieces. Set aside. roll them in your hands to smooth them out. 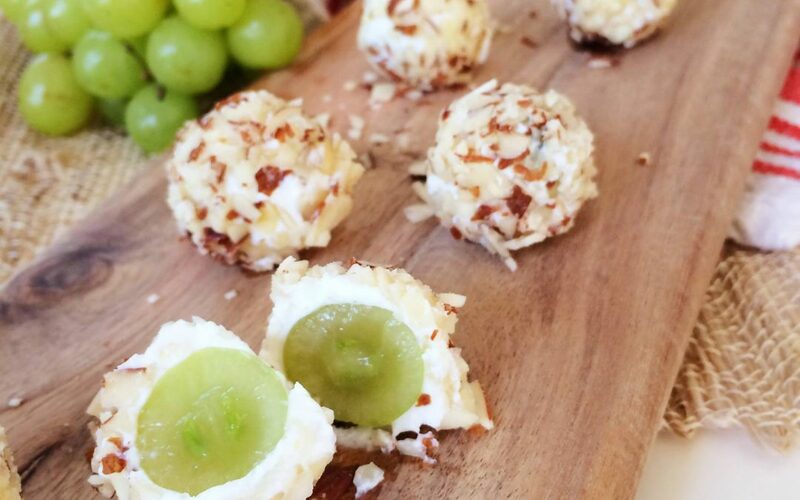 Empty the shaved almonds onto a small plate or into a bowl, and roll the chèvre covered grape balls in the shaved almonds until coated. Lastly, chill them in the refrigerator for 20-30 minutes before serving. Enjoy!